Do you know what the Mexican flag means? Mexico is a beautiful country, full of rich history and fascinating culture. From bullfighting to chocolate and rabbits, Mexico is a various country. 1. The official name of Mexico is Estados Unidos Mexicanos (United Mexican States) - The country, Mexico, was initially named after its capital city (Mexico City). During the 14 - 16th centuries, when the Aztec people dominated large parts of the country, the capital city was called Mexico-Tenochtitlan. After the Spanish had conquered the city in the 16th century, they ruined it and built Mexico City on top of the Aztec capital. Mexico City was built to resemble a Spanish city. 2. Mexico introduced chocolate, chillies and corn to the world - Chocolate was discovered in Mexico and was made by the Meso-American people into a sweet beverage using natural sweeteners. The word ‘chocolate’ derives from the language of the Aztecs, Náhuatl (chocolate: cocoa, bitter + atl, water). Ixcacao is the Mayan Goddess of chocolate. 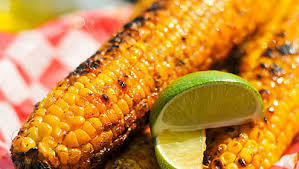 Corn (Zea maiz) was first cultivated in Central Mexico. 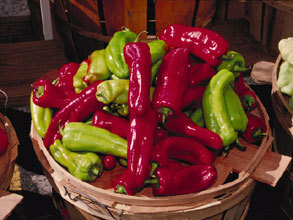 Most chillies come from Mexico, the word derived from the Náhuatl word chilli. 3. Mexico is home to the volcano rabbit - This is a very rare rabbit which lives near Mexican volcanoes. It is the world's second smallest rabbit (the smallest is the Pygmy rabbit). It has short, thick fur, short legs and small rounded ears. 4. 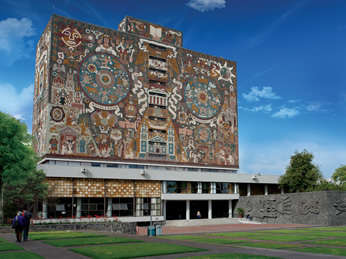 The National University of Mexico is the oldest university in North America - The University, Universidad Nacional Autónoma de México (UNAM), was founded in 1551 by Charles V, a Holy Roman Emperor. The University stands out as the educational institute that produces the highest number of professionals in Mexico. 5. Mexican children do not get presents on Christmas Day - In Mexico, as in much of the Catholic world, children get their presents only on January 6th. This is the day on which Mexicans celebrate El Dia De Reyes (Kings Day), the arrival of the three wise men to Bethlehem after seeing a star above the city. The meaning of the star was the birth of the Savior Jesus. 6. Mexico is located in the “Ring of Fire” - This area is one of the world’s most violent earthquake and volcano zones. The Ring of Fire contains more than 450 volcanoes and has approximately 75% of the world's active volcanoes. Popocatépetl is considered to be the most dangerous volcano in Mexico, located only 70 km southeast of Mexico City, from where it can be seen with the right weather conditions. 7. Mexico City is slowly sinking - because the Mexican capital was built on a lake; it is sinking 15-20cm a year. During the 20th century, Mexico City sunk between 9 - 11m. The city’s infrastructure, water supplies and its irreplaceable architecture are under constant threat. If it continues sinking the city will face serious problems. 8. 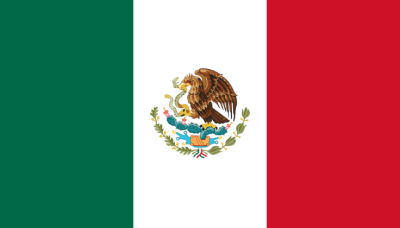 The Mexican flag is made up of three vertical stripes - Every stripe of the flag has different meaning. The left green stripe stands for hope; the middle white stripe represents purity and unity, and the right red stripe represents the blood of the nation’s heroes. The picture of an eagle eating a snake in the middle of the flag called the Coat of Arms, is based on an Aztec legend. 9. The Chihuahua, the smallest breed of dog in the world, is named after a Mexican state - There are several theories regarding the origin of the breed, both archaeological and folkloric. 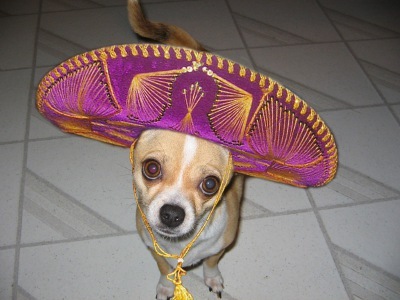 However, all theories confirm the origination of the dog breed from Chihuahua, Mexico. The most common theory is that Chihuahuas are descended from the chichi, a companion dog that was favored by the Toltec civilization. 10. 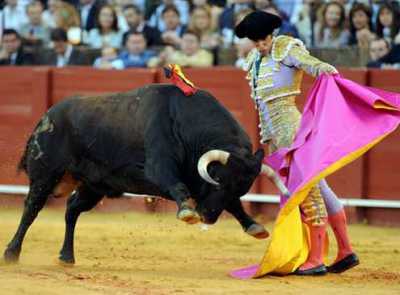 Spanish conquerors introduced bullfighting to Mexico - Nowadays, bullfighting in Mexico is a popular national sport. Plaza Mexico, which is situated in Mexico City, is the largest bullring in the world with over 41,000 seats. Bullfighting takes place every year, from November to April.